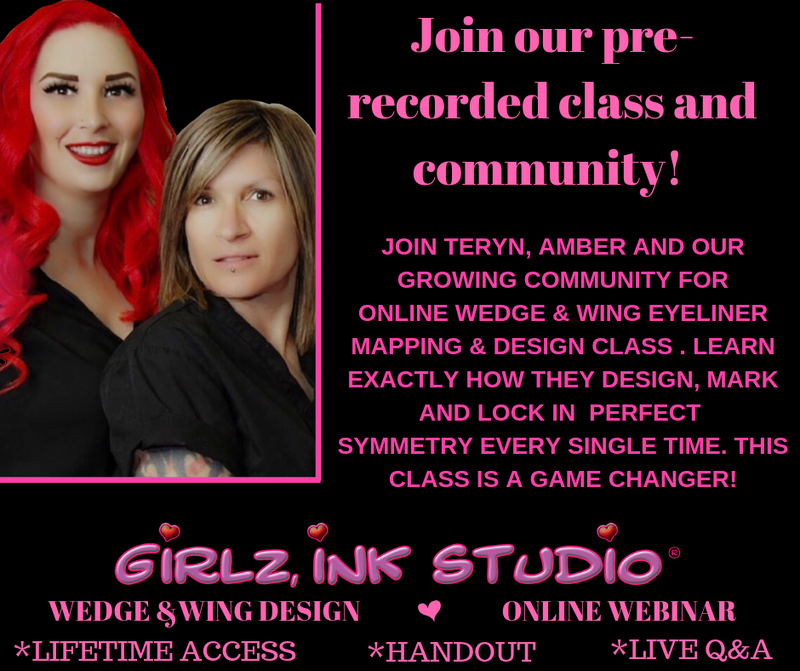 This class will teach you how to design, mark and lock in a perfectly symmetrical design for a wedge eyeliner and winged eyeliner. The techniques and information we teach you will give your the tools and confidence to do beautiful eyeliner designs on all the different eye shapes. You will also learn how to design, mark and lock in bottom eyeliner! Design and lots of other valuable information to up your liner game. This is a pre-recorded class with 2 hours of Power Point Theory and drawing on two different models. There are loads of Q&A already addressed. Your handout is already posted on the group for you to download and print out. Teryn & Amber continue to monitor this group addressing questions and offering any additional support that may be needed. No live tattooing in this class. This class is not intended to replace hands on training. We highly recommend hands on training in addition to this class if you have never performed an eyeliner. It is your responsibility to send an invite to Wedge & Wing Eyeliner Design on Facebook to be added to the group forum. You “MUST” have your Paypal email that was used to purchase readily available to be added to the group. There is absolutely NO REFUNDS, NO EXCEPTIONS.